I cannot stop buying primers. So when I saw Bourjois's new primers I knew that I had to try them and now, once again, I have a new product to share with you all. The happy light range is the new range from Bourjois Paris which consists of two different primers, a concealer and a foundation. 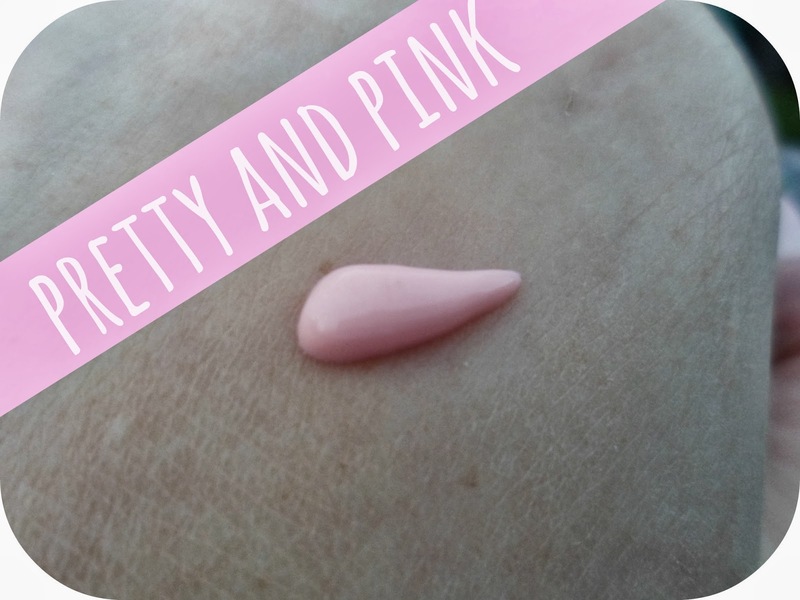 I choose this primer as it is said to give a "luminous complexion in any light". I'm all about highlighters and glowing skin. I am, in fact, obsessed with it. I love the dewy, glowing look and am always buying products to help me create this look. Not into the glowing, shimmery look? 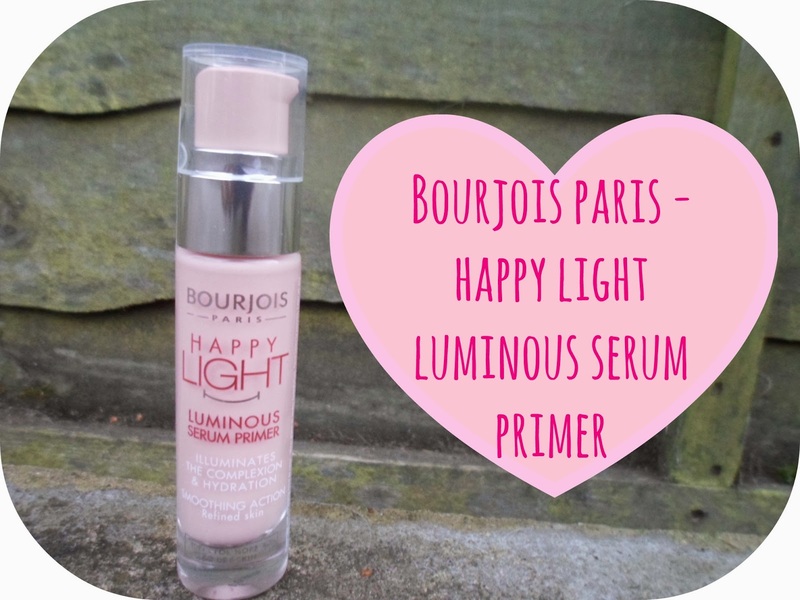 Well girls there is also another version of the happy light primer -a matte version which is the same price! This stuff looks and feels amazing! You pump it out and it is a baby pink colour, but just rub it in a little and it dissappers leaves a smooth, silky illuminating base for any foundation! I have been loving wearing this and have really noticed through the day that my skin has looked alot more awake and dewy, without looking greasy! 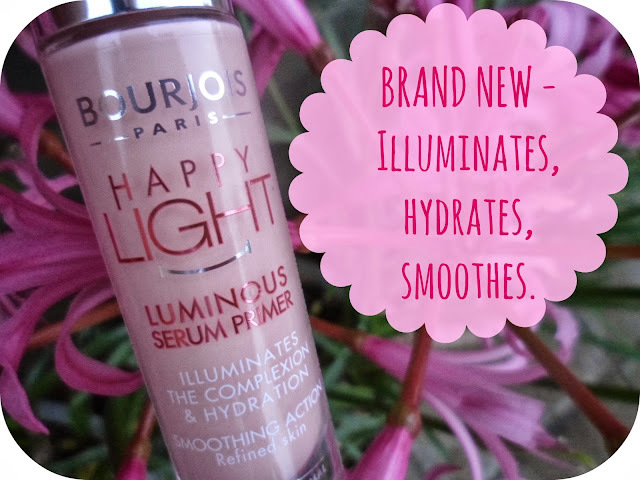 I am definitely going to be trying out the foundation version too and maybe either the other Happy Light primer aswell - another winner from Bourjois in my opinion! Any of you guys tried this out yet? What are your thoughts? Oh this sounds gorgeous, I need some high street primers so may give this a go. I have the happy light foundation, if u buy it go for a lighter shade as they are pretty dark. This looks amazing!! I love Bourjois!! I need a trip to Boots now!! Ooooh I need a bit of 'luminosity' haha! I think I'll have to check this out - great review lovely. Ooft, this looks so lovely! I always worry with products that claim to give you a dewy finish as I have naturally oily skin but this sounds so nice I may have to try it!